October 23, 2018 – Blockchain may be the key to accelerating clinical research, according to a new report by Deloitte, due to the technology’s potential to streamline data sharing and enhance interoperability. Large volumes of high-quality patient data are essential for healthcare researchers to make new discoveries. However, the industry is currently experiencing significant challenges when attempting to collect and leverage big data. A lack of incentives to share data, security concerns, and insufficient infrastructure to support interoperability can all contribute to data siloes. Blockchain could provide a solution to these issues, Deloitte stated. “Traditional solutions and technologies have not been able to completely solve these issues, leaving patients in a position where they face challenges taking advantage of their own medical information to accelerate new cures,” the organization said. 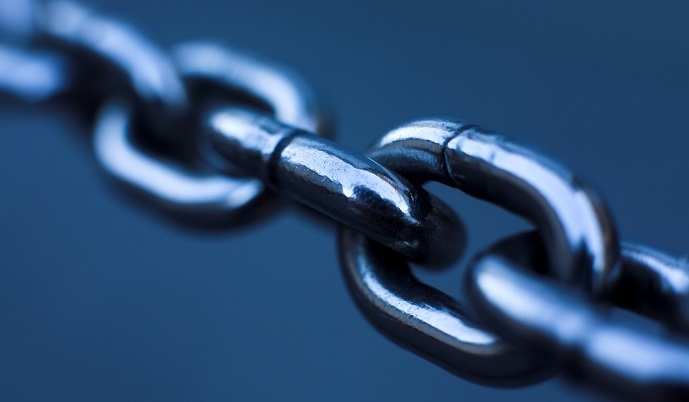 Blockchain offers a degree of transparency and trust that is often missing when two organizations attempt to share data in a traditional manner, Deloitte says. Because blockchain’s distributed ledger technology disintermediates the exchange of data, organizations no longer have to compete around ownership, the report explains. “Blockchain platforms are uniquely positioned to facilitate interoperability by creating a level playing field among data contributors where there is no single owner of information, where all participants can maintain their own copies of the data, and where the underlying patient can maintain their identity,” the report stated. Deloitte noted that limited accessibility and information about clinical research opportunities can also impede patients’ ability to share their health data. To improve this issue, academic research institutions, medical providers, patients, and others could share a blockchain platform that can act as a single source of truth for clinical research opportunities. Patients could submit their medical information on this platform and search for appropriate clinical trials that match their medical profile. Blockchain may be able to encourage patients to share their data and participate in hard-to-fill trials by giving individuals a trustworthy audit trail for their information. “Through blockchain, researchers can incentivize patients to participate by publishing the results of studies on the blockchain and distributing them to patient participants – so that patients can better understand how their information was used and the results that were achieved,” the report said. Finally, blockchain could also help ensure safe and secure data sharing. Patient data included in blockchain platforms can be de-identified, and only trusted viewers can associate a record containing medical information with the individual who shared it. Researchers could analyze de-identified data and request access from patients to use their information in medical studies. While it is unclear whether blockchain will achieve its full potential in healthcare, Deloitte expects that the technology will have a positive effect on an industry that is becoming increasingly digital. In a 2018 survey, the organization found that more than half of executives believe blockchain will be a disruptive force in healthcare. Additionally, the survey showed that most healthcare organizations have increased their interest in blockchain and how it works over the past year. Secure data sharing and interoperability are just two areas of healthcare that blockchain could potentially improve, Deloitte said. “With blockchain as the foundational technology to improve data sharing and bring patients to the center of their own health care, there are immense impacts that blockchain could have on the future,” the report concluded.